Will REDD+ social safeguards reach the 'right' people? Rina Mandimbiniaina (University of Antananarivo) entering data following an interview with a household affected by the new protected area. Will REDD+ social safeguards reach the ‘right‘ people? Conservation of tropical forests is widely recognised as a good thing. These forests contain biodiversity found nowhere else on earth, influence local availability of water and play a vital role in locking up carbon and so mitigating climate change. The recent Paris climate agreement recognised REDD+ (Reducing Emissions from Deforestation and Degradation) as a key mechanism for climate change mitigation and this will increase investment in tropical forest conservation. However conservation can have negative impacts on local people. p4ges research published this week in the journal Global Environmental Change shows that social safeguard schemes (introduced to avoid potential harm to the poorest and most vulnerable) are not always benefiting those they are meant to help. It is well understood that while forest conservation has many global benefits, it can have local costs to those living around protected area boundaries (who are in many cases extremely poor). For example, if local people are dependent on the forest for agriculture and harvesting products essential to their livelihoods, then forest protection can result in hardship. The United Nations Convention on Climate Change recognises potential negative social impacts of REDD+ and in response they introduced what have become known as the Cancun safeguards. The UNFCC also require that any country using REDD+ in its climate mitigation actions establish a safeguard information system to ensure social and environmental safeguards are in place. However UNFCC requirements on safeguards have been criticized as weak. REDD+ social safeguards are not being built in a vacuum. For example new protected areas and REDD+ pilot projects which are set up with funding from the World Bank (and some other donors), already have a process in place to identify and compensate those negatively affected. p4ges team members from the University of Antananarivo in Madagascar and Bangor University in the UK decided to investigate how social safeguards have been implemented around a new protected area and REDD+ pilot project (established with World Bank funding) in the eastern rainforest of Madagascar. Their aim was to explore how existing social safeguards for conservation are being implemented and so identify lessons relevant to REDD+ social safeguards. 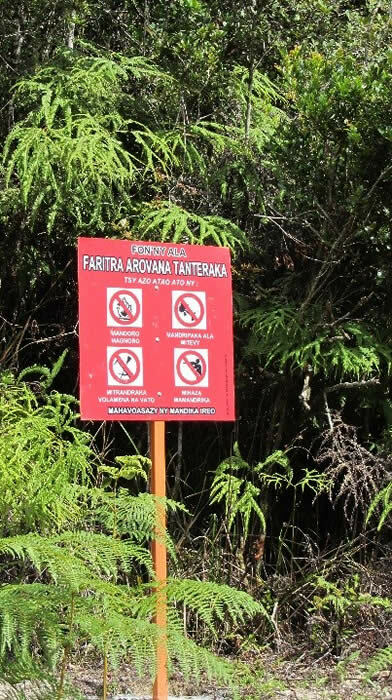 They show that the social safeguard process has not succeeded in identifying and reaching all the people negatively affected by the implementation of the new protected area. While the work is looking at a new protected area (and REDD+ pilot project) in eastern Madagascar, the authors believe it has wider relevance. Professor Julia Jones of Bangor University says “Avoiding possible negative impacts of REDD+ is very challenging; those affected are often widely distributed and hard to reach. Improvements however are clearly needed to ensure that some of the poorest people on our planet are not footing the bill for climate mitigation”.